With many schools sponsored through The Rod Glove, we believe that our youth are the future and we are represented by the next generation of anglers, with our Pro Staff Andres Ortega. Andres Ortega started his fishing passion when he was bored one day and decided to turn on ESPN Bassmasters. At the time he was just 8 years old and was entertained to watch Mike Ianconelli banging his head against a dashboard as he was excited to land a bass over 6 pounds. Wanting to learn how to be like Mike, Andy asked his Dad to take him to a local pond where he caught his first fish, a catfish. Having just watched the Bassmasters, Andy knew that he wanted to target bass so his Dad took him to Lake O.V. Ivie Lake, Texas where he was able to catch several bass. He had so much fun that he decided to join the Casting for Kids tournament and took first place. Andy was one of the youngest anglers to have his own Ranger Bass Boat and he is fortunate to now have a new Skeeter with 250hp Yamaha SHO. He has been a finalist or winner in numerous Texas B.A.S.S. 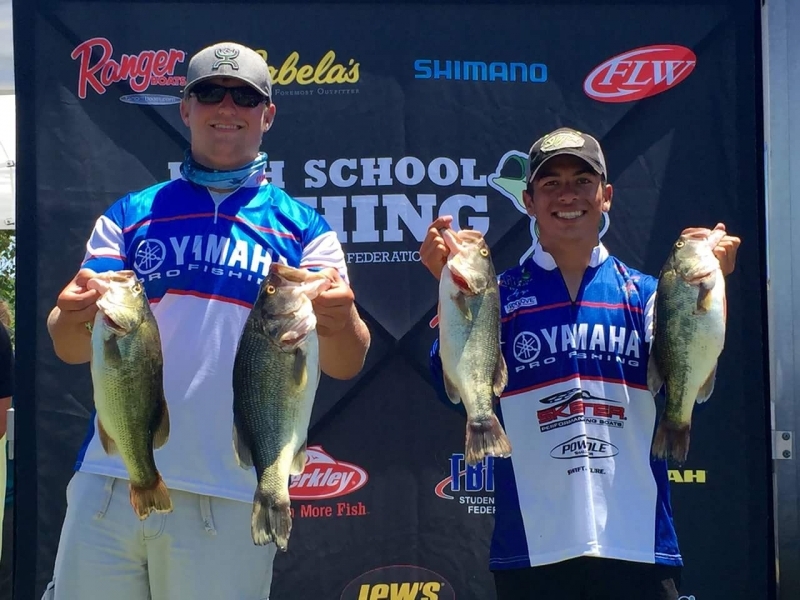 Federation and Bassmaster® CastingKids® championships and in 2011, 2012 and 2013, Ortega earned B.A.S.S. “Angler of the Year” titles from TBF for his region and age group. Andy also captured the Texas State “Catch and Release” record in both Junior and Adult categories with a 10-pound, 28” largemouth bass in 2010. He is currently fishing in the World's Highschool Championship at Pickwick Lake and is hoping to land some big ones to gain another title. Andy has a very positive attitude and one of his tricks prior to his tournaments is to listen to motivational speakers. His favorite quote is "Whatever the mind can conceive and believe, the mind can achieve" -Napoleon Hill. Currently in highschool, once Andy finishes in another year, he plans on attending college to earn his degree in business, marketing and freshwater biology. He plans on continuing to learn more about fishing and continuing to compete with hopes of making it to the Pro Bass Elite some day.